University Park is south of 405 borders to Culver Dr., Jeffrey Blvd. and north of University Dr. north to and adjacent to Turtle Rock and south of Woodbridge. University Park is one of the original communities built in the 1960's consisting five inter-communities such as Chancellor, Village II, Terrace, Village III, and the Village of mostly attached and detached affordable single family homes currently ranging from $600,000 2 bedroom homes to larger four bedrooms at $1,600,000. University Park amenities are great with number of green parks, swimming pools, club house great for birthdays and gatherings. 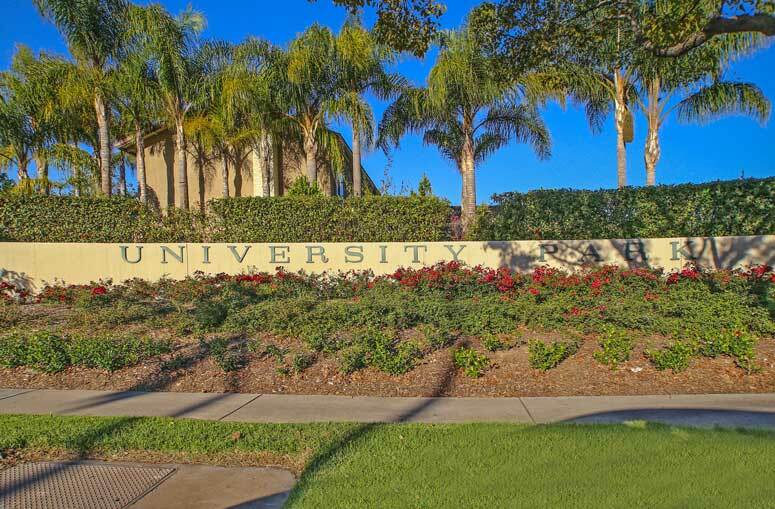 University Community Association is managed by Professional Community Management located at 4530 Sandburg Irvine CA 92612 and can be reached at 949-768-7261. Local schools are University Park Elementary located at 4572 Sandburg Way Irvine CA 92612 and can be reached at 949-936-6300. University Park Middle School, Rancho San Joaquin Middle School and University High School off of Culver and Campus. Please, contact us if you are seeking to buy or rent in University Park. Have a look around, and contact us with any questions you might have about the market or our services. No question is too mundane - we want to help!